Your fridge takes care of your family by keeping your meals and ingredients as fresh as possible. Our fridges, freezers and all in one fridge freezers provide you with flexible, reliable and safe food storage at home. We’re certain that there is a model to fit your kitchen space and provide exactly the right amount of fresh or frozen food storage you need. A freestanding freezer is the ideal plug in and go long term food storage solution. We offer freezers with spacious storage drawers that are easy to slide out. Or choose one of our compact models to place on a worktop or in your pantry. It’s easy to store extra items of food that you made not need right away! There are so many sizes available that we are certain you’ll find exactly the right model for your space. A fridge freezer caters for your family’s food storage requirements all in one space. Get fresh food storage for dairy, meat, fruit and vegetables. Add longer-term storage for joints of meat, ready meals and batch cooked recipes all in one. Combining a fridge and a freezer doesn’t mean that you need exactly the same space for each type of food storage. We have a range of options with either more fridge or freezer storage to match your requirements. A freestanding fridge offers fresh food storage with no need to adjust your kitchen. 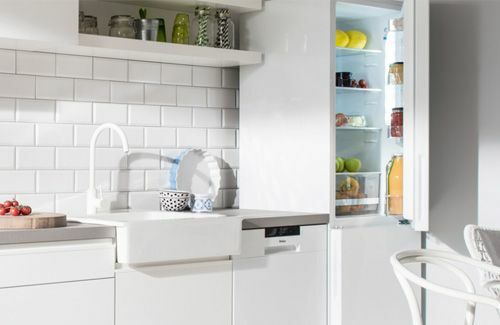 These fridges plug in wherever you want them to go with no fuss. Get fresh food storage for your fruit, vegetables, dairy products, meat and drinks. Our full height models can store enough food for a football team, making them perfect for busy homes. 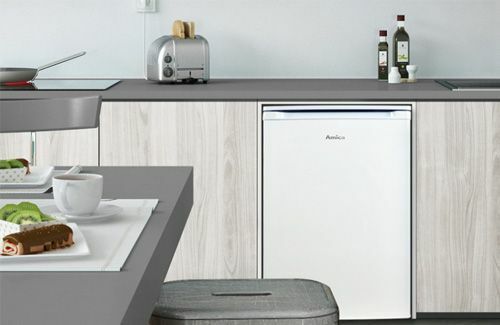 Compact table top fridges are ideal for a flat or professional home. An integrated freezer is perfect if you don’t want a large appliance on show in the kitchen. You can still have meals ready to defrost at your fingertips without compromising kitchen design. 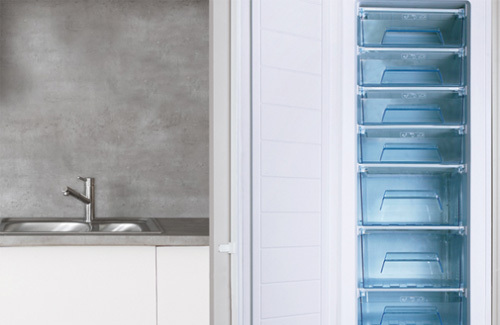 Choose from under counter or full height appliances to get exactly the right amount of freezer storage to suit you. 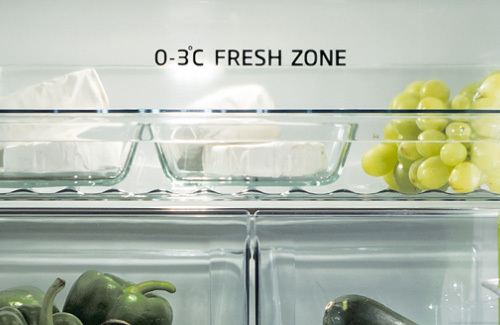 An integrated fridge freezer combines fresh and frozen food storage in one. All this hides neatly behind your kitchen cabinet doors. Choose exactly the same amount of fresh and frozen food storage or go for a model with more fresh food space. It all depends on your style. Once the kitchen cabinet door is fitted to the outside of the appliance, you won’t notice your fridge freezer until you need it. 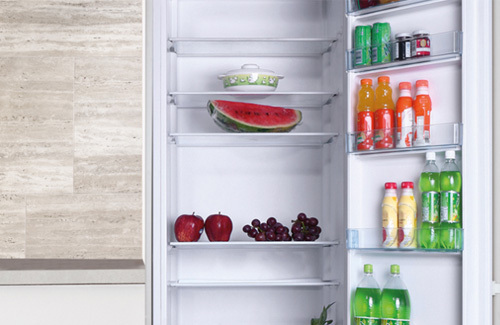 Integrated fridges keep fresh, crisp fruit and salad, cold drinks and ingredients for your next meal on hand. With a range of sizes available there is something to suit every family and every size of kitchen. 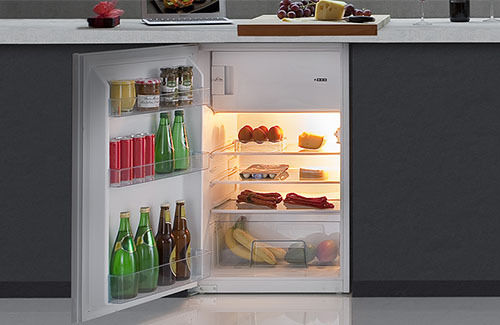 With an integrated fridge, you can store all your fresh food right where you need it. What’s more, it won’t spoil the clean lines of your kitchen.